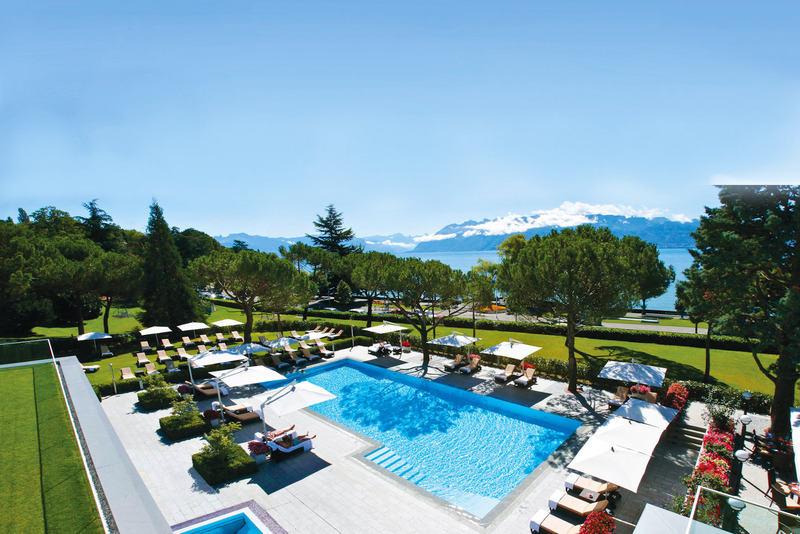 Beau-Rivage Palace in Lausanne, Switzerland. Ranked #53 in our countdown of the 100 Best Hotels and Resorts in the World. A Belle Époque hotel with compelling views across Lake Geneva to the Swiss and French Alps. Original public spaces are rich with chandeliers, exuberant frescoes, and domed ceilings (the Sandoz Room is a highlight). The redesign, under French design-maestro Pierre-Yves Rochon, is sophisticated modern glamour. The guest rooms pair bespoke furnishings and state-of-the-art technology. The Anne-Sophie Pic boasts two Michelin stars and a French menu that will delight epicureans. The BRP is very grown-up, very polished, very European. Did you know The 1904 steamship Montreux has been re-fitted, polished and preened by the hotel for luxury cruises on Lake Geneva.